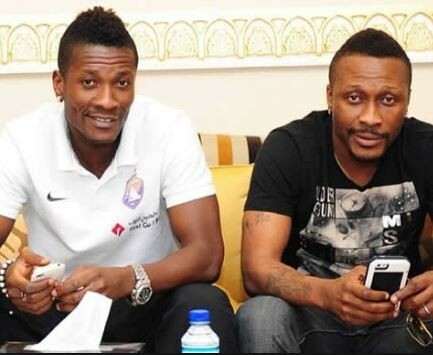 Baffour Gyan, the elder brother of footballer, Asamoah Gyan, has been declared wanted by the Ghana Police Service, East Legon branch, for the seizure of the passports of his in-law, Gifty Gyan, and that of her children. The documents he seized comprise passports, UK residence permit and health insurance. According to the East Legon Police, Baffour Gyan seems to be concocting stories, having initially told the Accra Court police in a preliminary hearing that thieves broke into his car to steal the travel documents, but when he was told to bring the car for examination, he said that he just can’t find the documents. The situation compelled Gifty’s lawyers to lodge an official complaint as they said that only a court of law can ground a citizen of Ghana for stated reason. The East Legon Police says Baffour Gyan has failed to respond to calls to appear. Asamoah Gyan and wife, Gifty, have been in the news lately following Gyan suit at a court in Acrra, seeking divorce from his wife and demanding a DNA test be done on their three children.